1. I was (am) amazed at all the birthday greetings I got yesterday on Facebook. Whoa!! It was overwhelming!!! 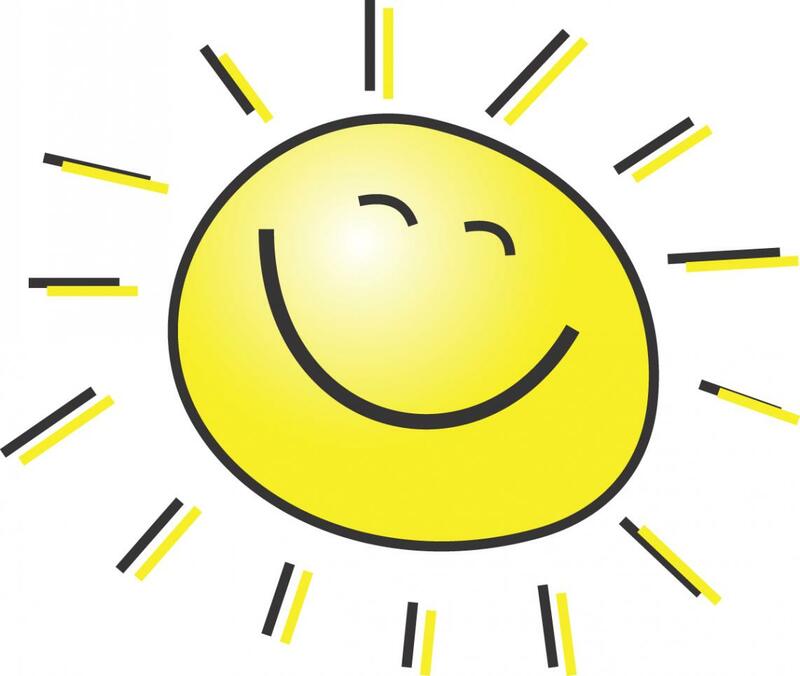 It's making me smile a long, long while!!! 2. Frankly my birthday is always kind of weird. My twin is not here to celebrate, BUT I know that she would want me to celebrate it upright. And I did yesterday!! 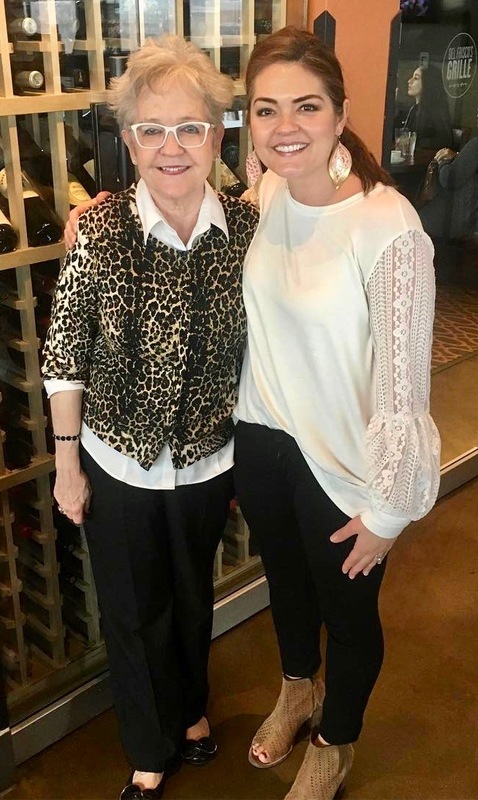 My dear niece (my twin's daughter) Elizabeth treated me to a delicious lunch at Del Frisco's Grille in Southlake. Thank you, Elizabeth!! 3. 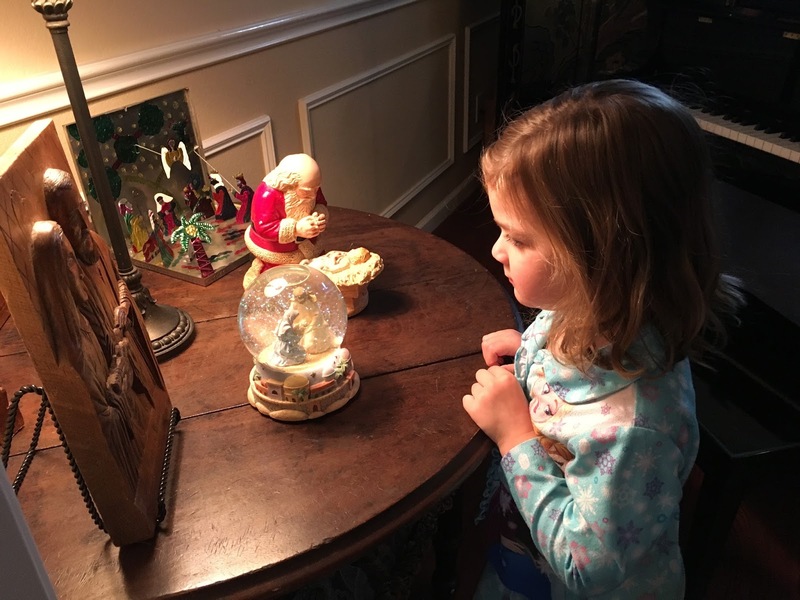 I spent New Year's Eve with my dear great nieces and great nephew, Elizabeth's kids. It was so fun! We watched movies and played SCATTERGORIES, and had pizza... and fun! 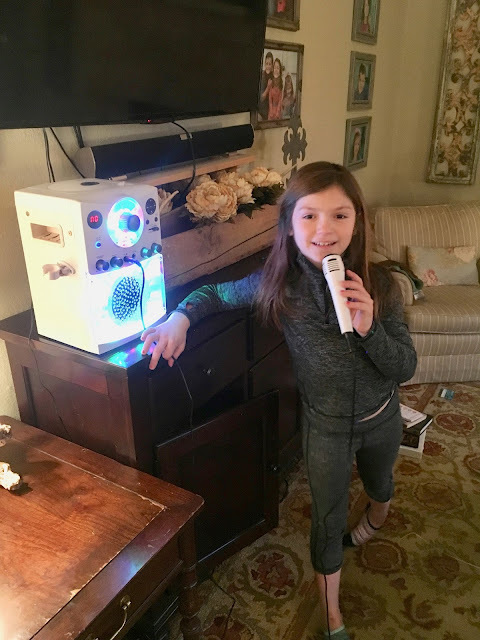 That's Anna with her new karaoke machine she got for Christmas. That's Andrew with 2 of the books he wrote! and one he wrote at his Mimi's house in College Station. 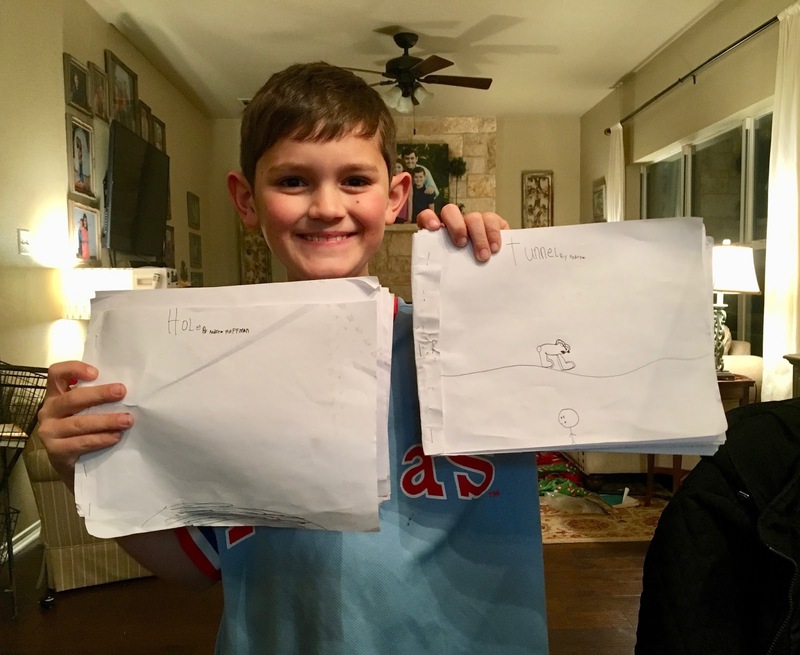 He writes them AND illustrates them! 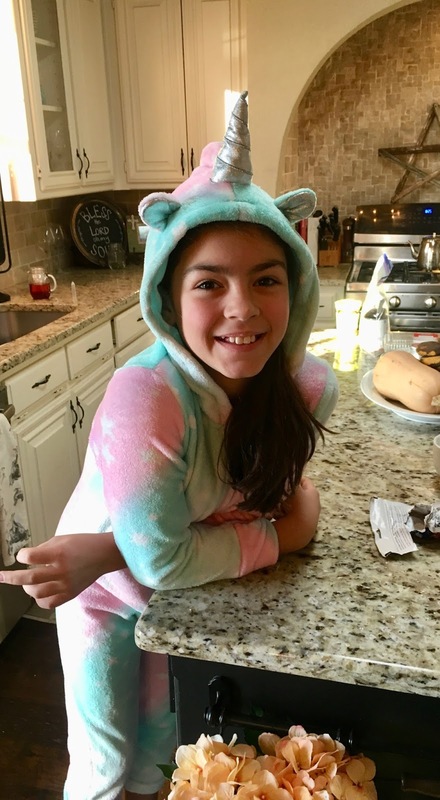 That's Caroline wearing her unique unicorn pajamas!! They are such great kids, and I am so blessed that I get to be in their lives!!! 4. 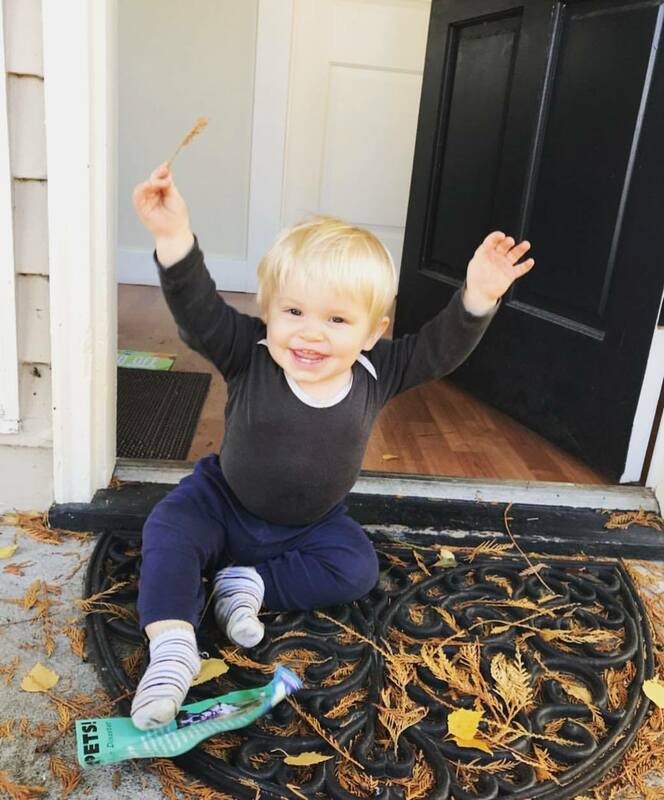 Our Oregonian grandson and his parents are flying in later this week to celebrate Christmas! Yes, our tree is still up, as are all of our Christmas decorations. And we have some presents under our tree. That all translates to: diets don't begin until after January 17! AND that translates to: Ransom will be at Grammy's house soon!!! and that makes me enjoy it even more than I ever did. Those are my 5 things on this Monday.